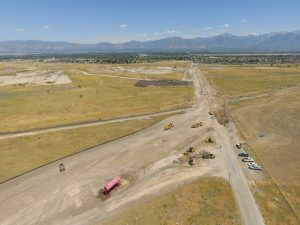 This portion of the Salt Lake City International Airport consisted of the demolition, dirt work, realigning in pavement lighting, and replacing 6” Lean concrete and 16” PCCP on portions of Taxiway A, Taxiway B for this phase of the SLC International Airport Redevelopment Program Project. 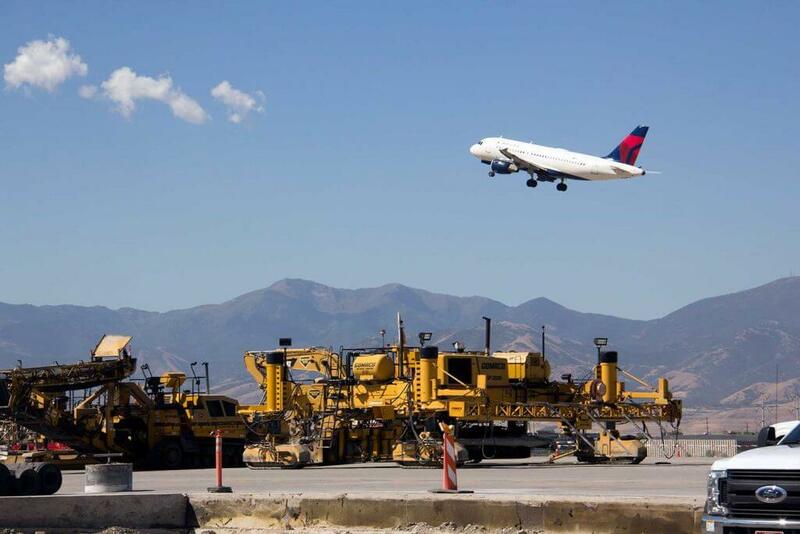 Taxiway A and B are two of the busiest taxiways at the SLC International Airport and required a very strict attention to many details while working with several crews. One of the many obstacles on this project was a very tight time restriction. 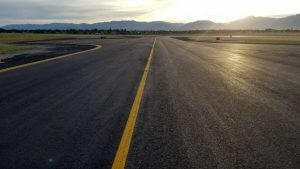 The airport can only have one of the taxiways shut down at a time. To complete all of the work on Taxiway A, there were flaggers that were used to safely allow our crew and equipment to cross the active Taxiway B. 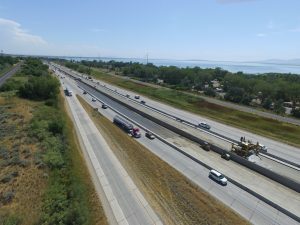 Over 52,000 cubic yards of concrete was placed in just a few months. 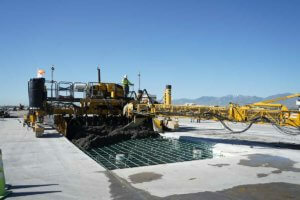 The only way to accomplish this goal was for Geneva Rock to setup a portable concrete paving batch plant on airport property. 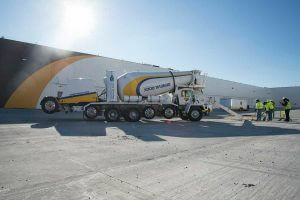 With the close proximity of the batch plant, we were able to efficiently complete the job.